New features include playlists, music support, SmartGlass controls, and direct MKV playback. Plex is making a bunch of improvements to its Xbox One app, though the cost of entry isn’t cheap. Music playback is now supported, along with listening in Snap mode and in the background on the home screen. Users can access their music and video playlists, with an option for shuffling. 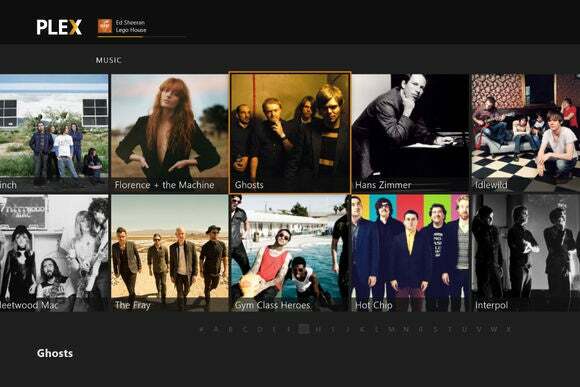 SmartGlass support lets users control and view what’s playing from the SmartGlass app for iOS, Android, and Windows. Movies now include an option to watch trailers and view extra details. Some songs include the option to watch the music video. Direct MKV support allows faster playback without having to convert files on the server side first. Users can now hit “X” to immediately start playback from the browsing menu, and can hit the left or right bumpers to cycle through TV episodes. Plex’s software lets you stream video and music files from a PC or certain networked-attached storage drives. Just install the server software and point it to any media folders you want to share, and you can then access that content through Plex’s client apps, such as the newly updated Xbox One version. While Plex is popular for watching videos acquired through legally dubious means (such as torrents and ripped DVDs), it has its fair share of legal uses as well. Unfortunately, the Xbox One app still requires a Plex Pass subscription, which costs $5 per month, $40 per year, or $150 for lifetime access. On most other platforms, Plex lets you buy the individual client app for $5. It’s a much cheaper way to go if you don’t need the Plex Pass features, such as cloud file syncing, movie trailers and extras, and music videos.